Portable unit weighs less than 28 pounds! 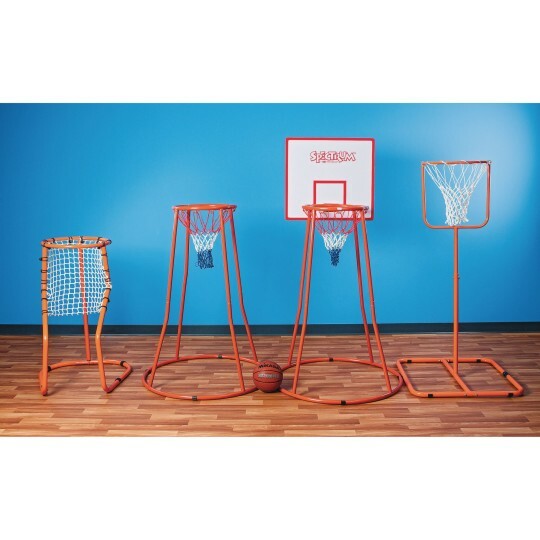 Shoot from all sides with our amazing adjustable height basketball goal! Features an official size 18"-diameter rim, 5 height adjustment levels from 4' to 6' high in 6" increments, a wide 30" x 30" stable base, all steel construction and a galvanized, powder-coated finish. 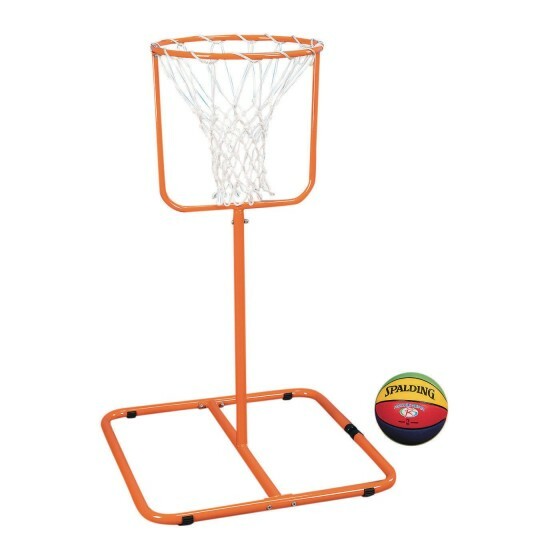 Net base can be partially tied off to create an auto ball return. Portable unit weighs less than 28 pounds. Use with Junior sized or smaller basketballs (sold separately). We recommend W11635005 Spectrum™ Youth Rubber Basketball, W9657 Spalding® Rookie Gear Basketball or W4797 Gator Skin® Basketball. 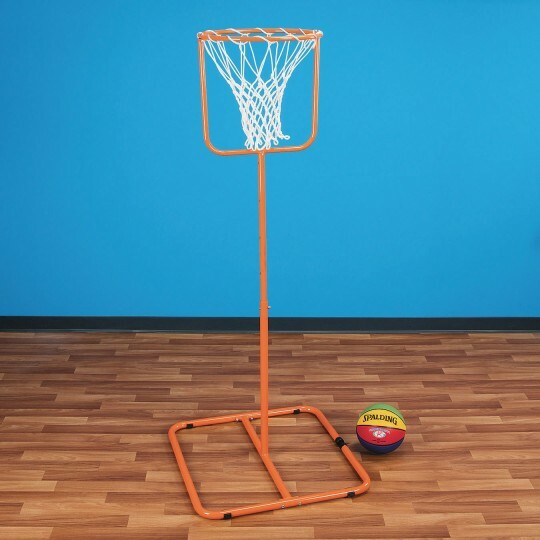 I purchased 2 of the Hoops for my younger gym classes. The student's that have a had time making a basket on the 10' rims these are perfect for them. I set them at 6 feet and when they make a basket and you see the smile on their face it's well worth it. I use them for K-3 grade. If you look at the square base the cut out in the back is there for storage if you have more than 1 of them. You can slide them together so they don't take up that much storage.The only thing is the packaging is not good at all. Nothing too damaged but there was some lost hardware. Outside of that Great Product.